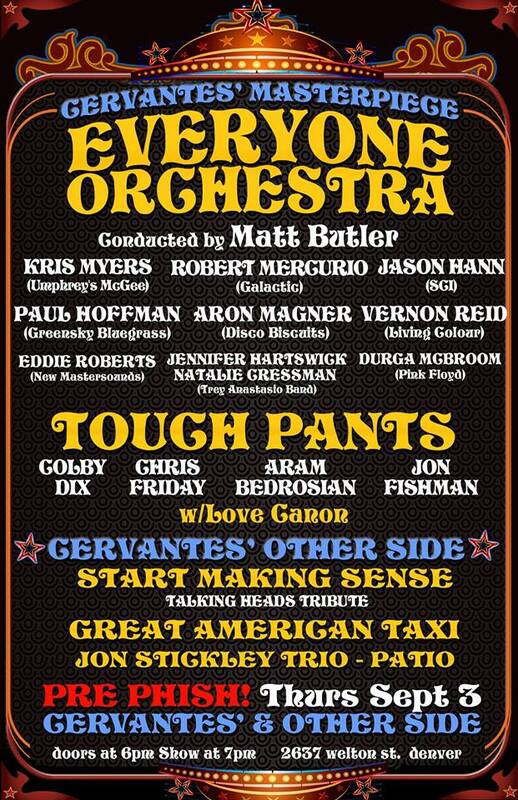 Everyone Orchestra’s performances in Seattle, WA at Nectar Lounge on Friday, September 11th and Portland, OR at Aladdin Theater on Saturday, September 12th feature Andy Thorn (banjo – Leftover Salmon), Lebo (guitars, steels & vocals – ALO) Allie Kral (fiddle and vocals – Yonder Mtn. 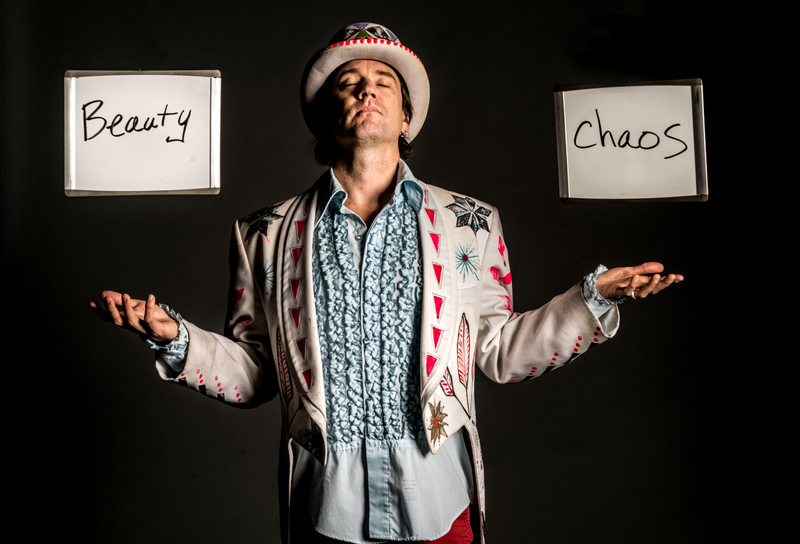 String Band) Jans Ingber (percussion and vocals – The Motet), Mimi Naja (mandolin and vocals – Fruition), Tyler Thompson (drums – Fruition), Jeff Leonard (bass – Fruition), and Asher Fulero (keyboards, vocals- Halo Refuser). 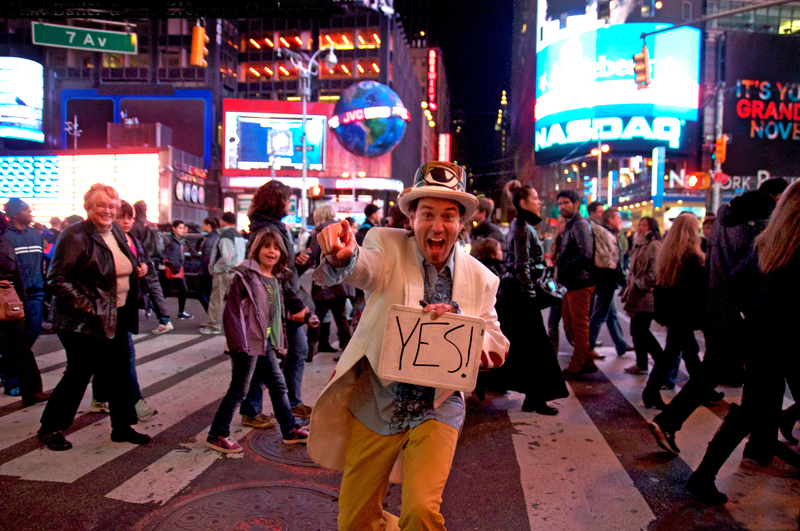 Butler brings EO’s participants, both on stage and off, on spontaneous compositional journeys with eclectic ensembles at festivals, theaters, and philanthropic events both nationally and internationally. Featuring a large contingent of hundreds of musicians, dancers, singers and community organizations who have embraced the experience of EO in single shots of musical adrenaline to the soul. It’s all in the moment, designed exclusively by everyone participating in each show. 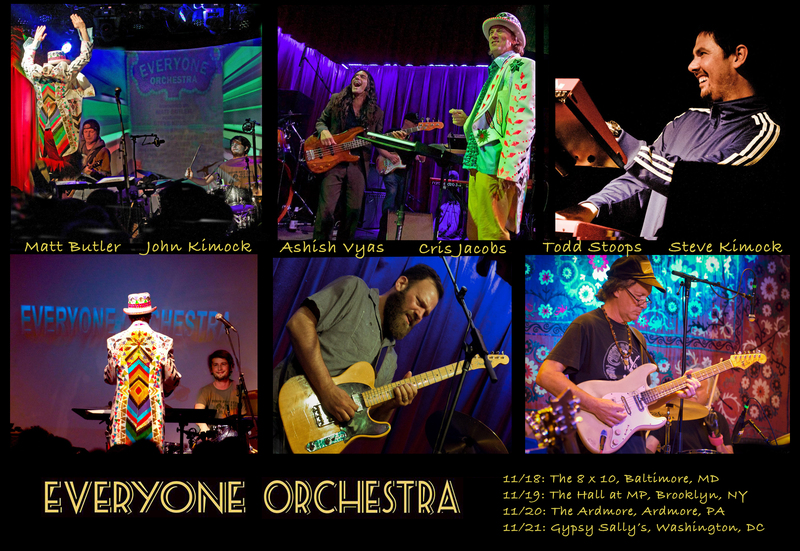 The Everyone Orchestra has announced three northern California shows in March of 2015. Conducted by Matt Butler, this performance will feature Kris Meyers (Umphrey’s McGee), Joel Cummins (Umphrey’s McGee), Jamie Kime (Zappa Plays Zappa), Ben Thomas (Zappa Plays Zappa), and Kai Eckhardt (John McLaughlin Trio/Garaj Mahal). They pay Thursday, March 26th at City Winery in Napa, CA, Friday, March 27th at Harlow’s in Sacramento, CA, and Saturday, March 28th at Great American Music Hall in San Francisco, CA. More guests for each show will be announced. 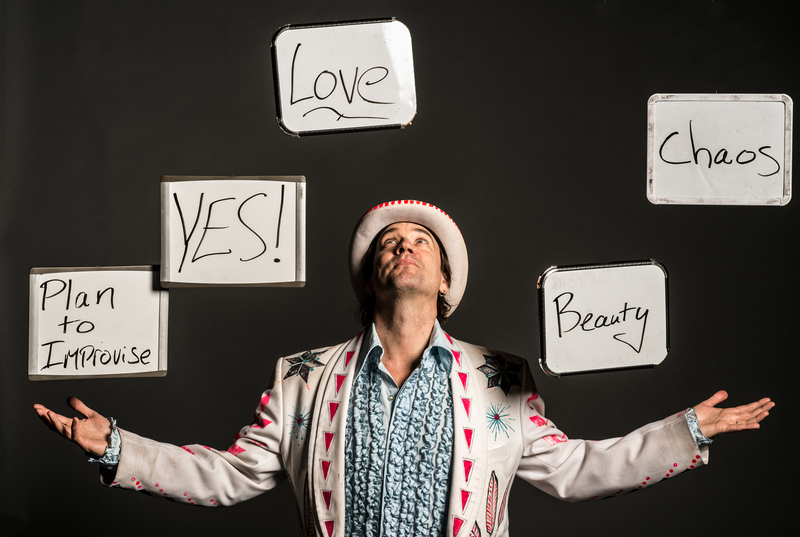 Butler has been leading a rotating cast of accredited musicians through full-length shows that are entirely improvised, since 2001, after touring with the rock band Jambay. In 2012, Butler gathered particularly well-known musicians from bands like Phish, Moe., and others, and recorded Everyone Orchestra’s first studio album, Brooklyn Sessions , which was still largely improvised.